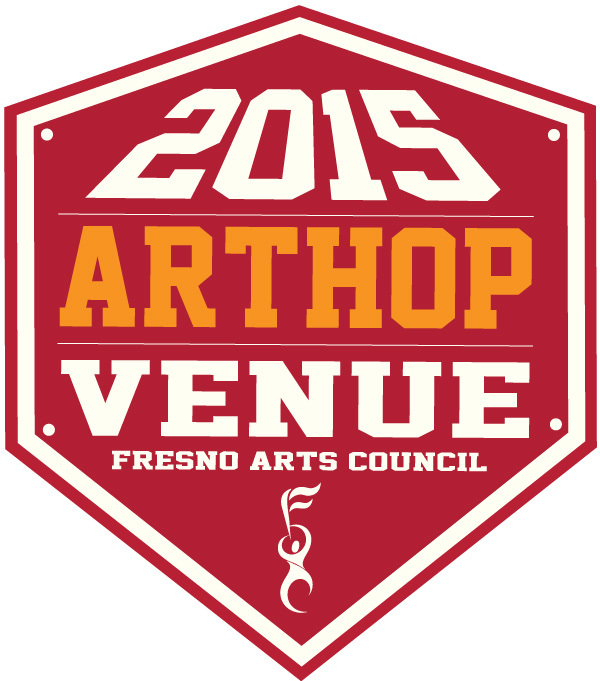 The ArtHop™ program is a monthly event featuring art exhibits in over 50 art venues in Fresno County. Art venues include galleries, work studios, retail outlets, and public spaces that art patrons can visit on the first and third Thursday of each month and other designated days. Please support our downtown and Tower venues; come by and meet local artists and enjoy their artwork, receptions, beverages, and music this Thursday, April 2nd, from 5pm to 8 pm. 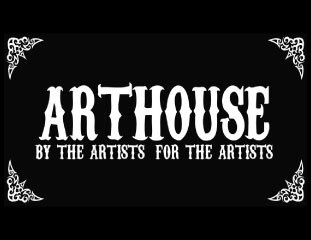 Become an ArtHop venue today! Are you a studio, a gallery, or a potential art venue for ArtHop? Joining ArtHop is simple. Visit our website for details! ‪#‎BrioOnBroadway‬ art mural unveiling and Arthop this Thursday at 1636 Broadway Street. 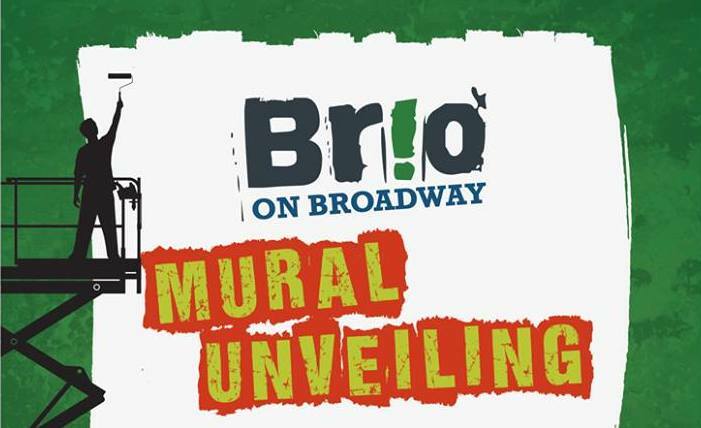 Come join us as we announce the winning artist, unveil the mural masterpiece and enjoy some incredible art by local artist, Ashleigh Fleenor and take a tour of one of Brio on Broadway’s brand new apartment homes that are available now for Lease. Allegorical Portraiture: New Paintings by Ronald Dzerigian. 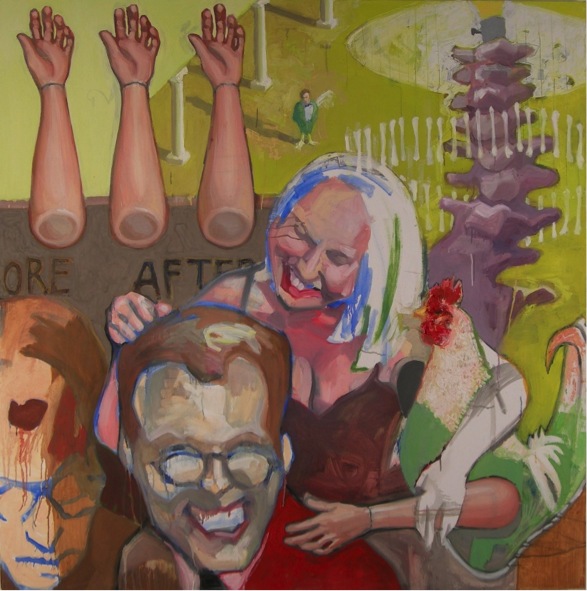 1821 Gallery & Studios is pleased to present Allegorical Portraiture, a new series of paintings by Fresno artist Ronald Dzerigian, March 19 – May 2, 2015. These paintings were made solely for this exhibition. 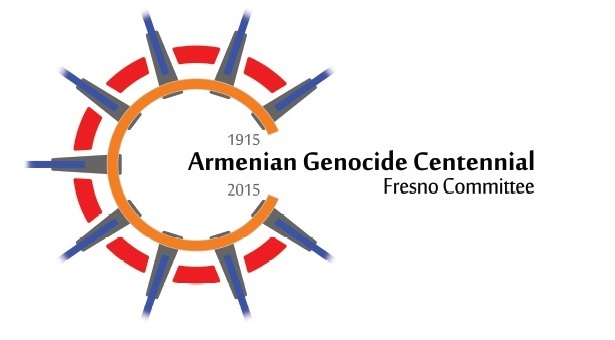 This will be the first exhibition of Mr. Dzerigian’s artworks in Fresno since 2010. 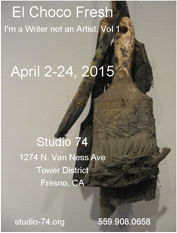 Bill’s studio and gallery at 1752 Van Ness will be open for April Arthop, 5 till 8 pm. Traditional jelly beans and pretzels. Info 970-4581. Collaboration. Please join Clay Hand Studios as we celebrate spring. 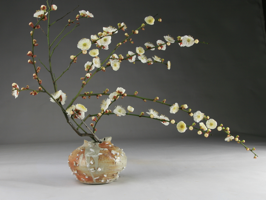 Clay Hand Studios artists have been collaborating with floral artist Debbie Morel and glass artisan Joe Morel to create a visual tour de force of spring in the San Joaquin Valley. An Open House will be held during Art Hop, Thursday, April 2, 2015. 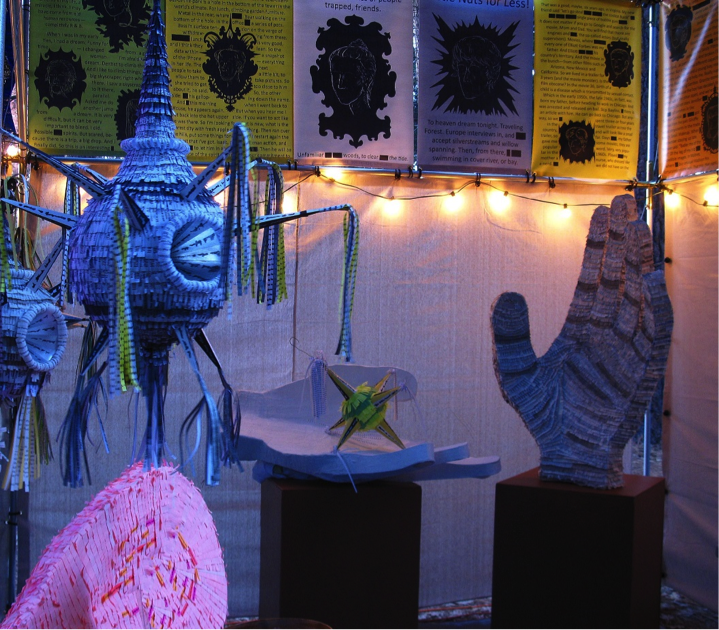 This is your opportunity to see an artistic exploration of the flora of the Central Valley. 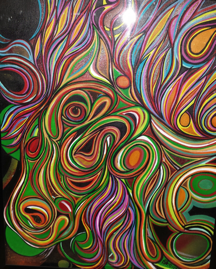 This month we’re featuring art from Elias Abalos. Elias is a member of CMAC and has been doing pyrography (the art of wood burning) for three years and will be displaying his comic book themed series with live musical accompaniment. Join us from 5 to 8pm. Evolve Vintage is excited to announce its’ doors have opened and we will be open for April’s Arthop! Stop in and check out our new space! Happy hoppin’. An interactive art installation exploring issues of privacy, data collection, and scrambled understanding. A person attempts to express his inner life to the world, but what comes out is unrecognizable to himself, misunderstood by others, and potentially usurped for obscure purposes. 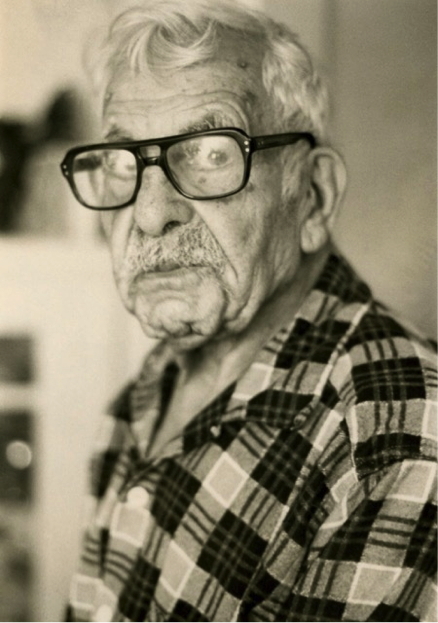 Exhibiting work by Nancy Youdelman, Arshag Nazareth Amirkhanian and A. F. “Corky” Normart. 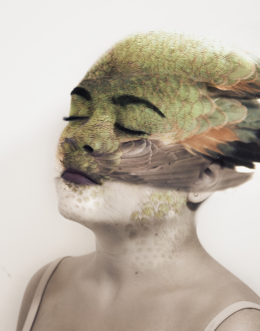 April Art Hop P Street Studios will feature Dreams: Digital Photography by Ashley Duke Photography student,Ashley Duke weaves us through a world of fantasy with her creative interpretation of the dream world. This is Ashley’s first solo showing. 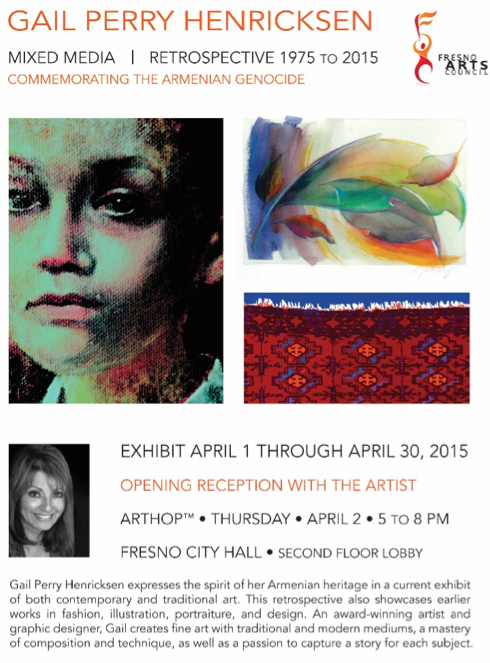 ArtHop Reception: Thursday, April 2, 2015 5-9PM 764 P Street. Entrance is up the ramp on Inyo between P and Santa Fe. Brad Polzin – Celebrating the classic indie record store, Brad Polzin will be showing poster prints of his artwork throughout the month of April. 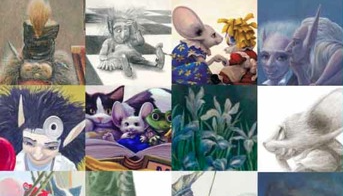 Featuring a broad selection of subject matter and styles from animals to abstracts, mandalas to flora, design motifs to figurative art and more! 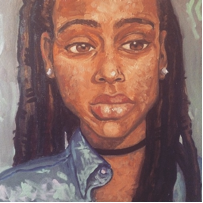 ArtHop reception for the artist is April 2, featuring live music on the Kirby Stage by the Spencer-Morris Group. Second Saturday ArtHop is the 10th. Plus, during International Record Store Day on April 18th, along with the art, there’ll be 4 bands in the big tent along with food trucks. 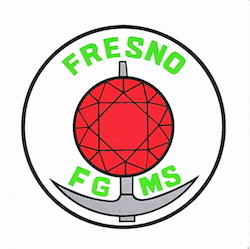 All Things Fresno April event features Brandy Swisher of Brandy Swisher Designs will feature her handmade jewelry. We will also feature Paul Betancourt, who will be signing his book, “This Week On The Farm”. Bravo Bites Food Truck will be set up on Fulton Street starting at 5pm with a great selection of food for purchase. Located inside the Chris Sorenson Studio/Gallery. 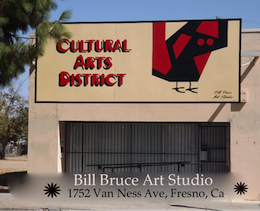 The Alliance of California Artist is a nonprofit organization dedicated to supporting and promoting the art and artists of the Central Valley. 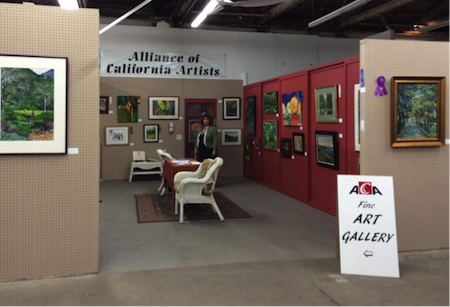 The ACA Fine Art Gallery is established by it’s members, for the members. Programmed to coincide with National Women’s History Month and International Women’s Day, this exhibition titled “One Degree of Separation: A Sisterhood of California Women Artists” will be on view through May 10, 2015. Featuring thirty-five women artists from the Valley and beyond, this show represents a wide spectrum of media and inspirations and is being presented in all four galleries of the cultural cener. Are you ready for another amazing night full of Music, Art & Fun, with friends and family!? Thrift DEMON will be setting up a PoP uP ShOp for a unique thrift shopping experience. 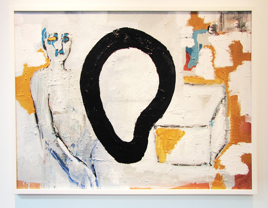 The Commons @ FPC is delighted to display the work of artist Kristen Stain. Currently a illustration major at the Art Center College of Design in Pasadena, Kristen grew up in Fresno. She attended Buchanan High School where she focused on her track and field career. The portrait above is of her sister. Come enjoy her paintings and the hospitality to be found at the corner of M and Stanislaus. We will be open for Art Hop April 2nd, 5-8pm. 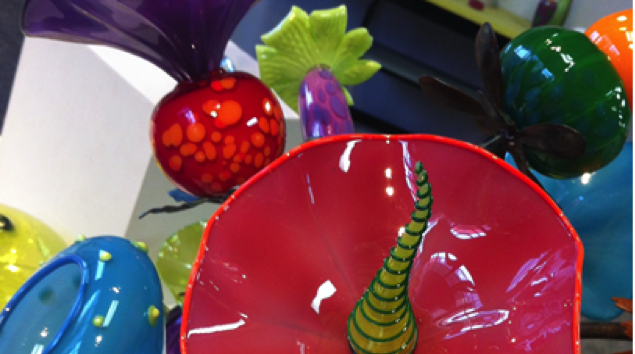 Spring has started to appear in Kliszewski Glass Studio. Come down for a visit and watch some glassblowing along with other unique & wonderful local art! Our featured artist for April 2nd Art Hop will be Terry Ellsworth. He is branching out into a new medium of photography whereby he creatively enhances his images to obscure the obvious and bring about a new perspective on the subject matter. His work will definitely stimulate your imagination. 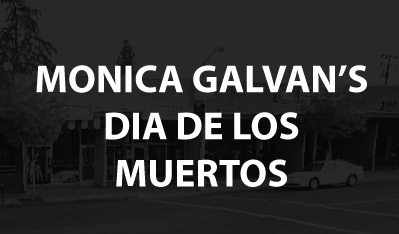 We will also feature work by local artists Valerie Runningwolf, Louie Quijada, Jason Casey, Claudia Fletcher, Robert Silva, Ellen Bayne, Joanne Tragna Foster and Jason Esquivel. Our resident artists will also be open and showing their work. Make M St. one of your stops 5-8pm. 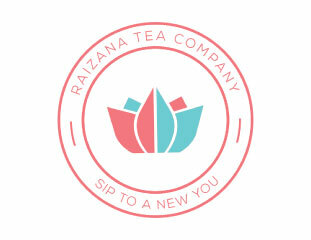 We will have Free tea samples (new flavor) and cookies, for April the 2nd during Art hop. Always open for ArtHop! 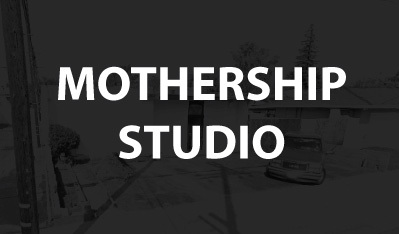 Come check out this amazing gallery/studio. Spectrum Art Gallery is very proud to host our 2015 guest artist program featuringMartha Casanave and Ryuijie.